IU offers no-cost virtual rooms (also known as bridges) for faculty, staff, and guests to meet online—at any time, from anywhere. No reservations required. On a personal device? Connect via Microsoft Skype for Business (Lync) or the free Pexip mobile app. * Chrome users: If you plan to share your screen, be sure to install the Pexip Screensharing Extension for Google Chrome. What is a "23" video bridge? 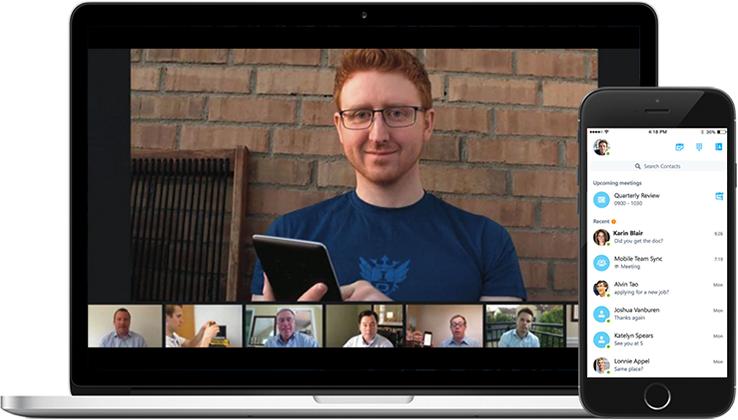 A “23” virtual meeting room (VMR) allows multiple participants to meet and collaborate with full two-way HD video and audio, screen sharing, and chat. Participants can join meetings quickly—at any time—from a web browser or Microsoft Skype for Business (Lync). Video room systems and telephones can also join "23" VMRs. IU’s “23” virtual meeting room service is based on the Pexip Infinity Connect conferencing platform. Pexip specializes in “any to any” conferencing, enabling users to meet and collaborate from web browsers, Microsoft Skype for Business (Lync), traditional videoconferencing room systems, tablets, and smartphones. After submitting the form, you will receive a confirmation email and connection instructions for meeting attendees. Once created, your "23" virtual room is permanent and always on. This means you can call it anytime with no reservation necessary. For more, see UITS Collaboration Technologies.